Overview: The Detroit-Superior Bridge is not only a prominent landmark within the city of Cleveland, but a principal link between the Downtown area and the West side eighborhoods. 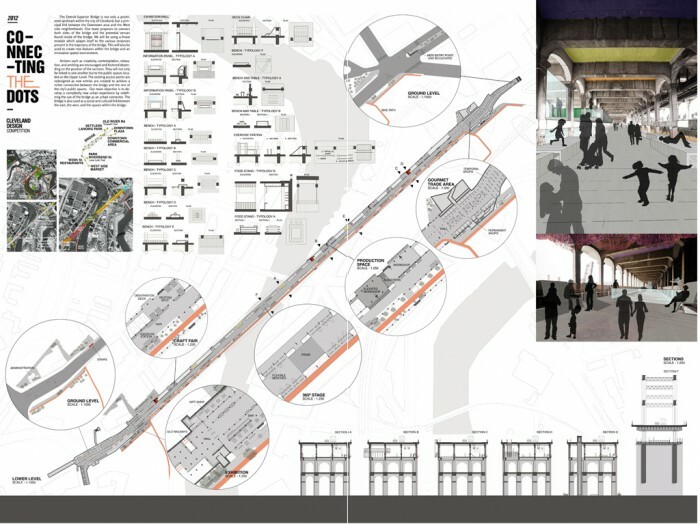 Our team proposes to connect both sides of the bridge and the potential venues found inside of the bridge. We will be using a linear module which adapts itself to the various instances present in the trajectory of the bridge. This will also be used to create new features within the bridge and an innovative spatial environment. Actions such as creativity, contemplation, relaxation, and ambling are encouraged and fostered depending on the position of the sections. 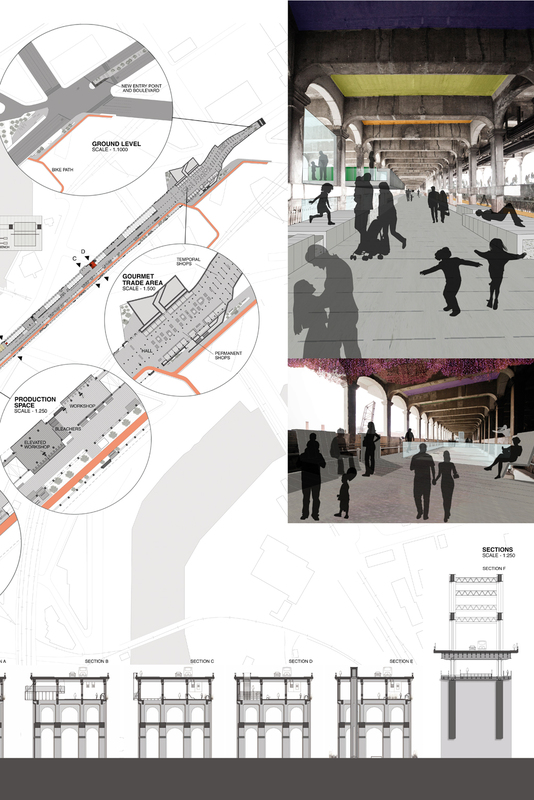 They will not only be linked to one another but to the public spaces located on the Upper Level. 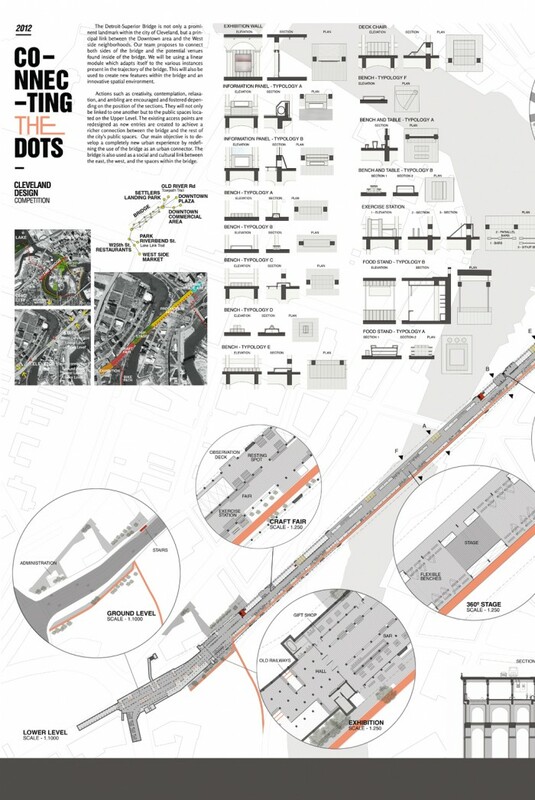 The existing access points are redesigned as new entries are created to achieve a richer connection between the bridge and the rest of the city’s public spaces. Our main objective is to develop a completely new urban experience by redefining the use of the bridge as an urban connector. The bridge is also used as a social and cultural link between the east, the west, and the spaces within the bridge.